Maridaki is a very small village with very few houses built near the frame of the rock, sheltered from the northerly and westerly winds. 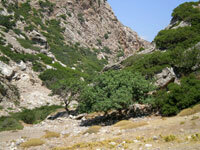 Through Maridaki passes a stream that flows into the Libyan and provides a small oasis of trees and a small cafe. The perfect place for a coffee or a refreshment when the thermometer goes to 30 degrees. The beach here is full of big pebbles, but lovers of sand will be compensated by the crystal and icy waters. 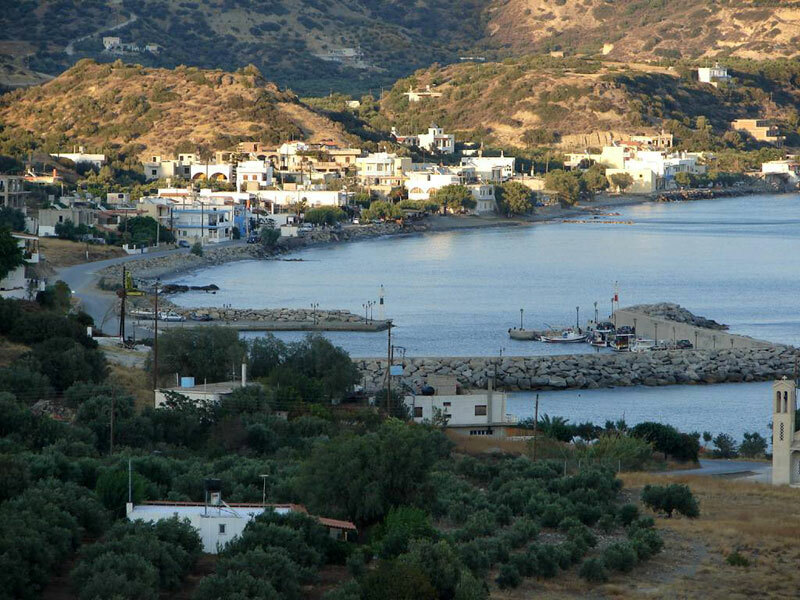 Kastri is a settlement by the local district Chondros of the City Viannos. It is the coastal settlement of local districts where cartilage has built the only fishing retreat of the municipality. It has 197 inhabitants, engaged mainly in fishing and agriculture and in recent years with tourism. 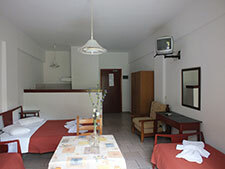 The settlement being coastal, has several restaurants and accommodations from which you can be served starting your explorations in the coastal zone of the municipality. 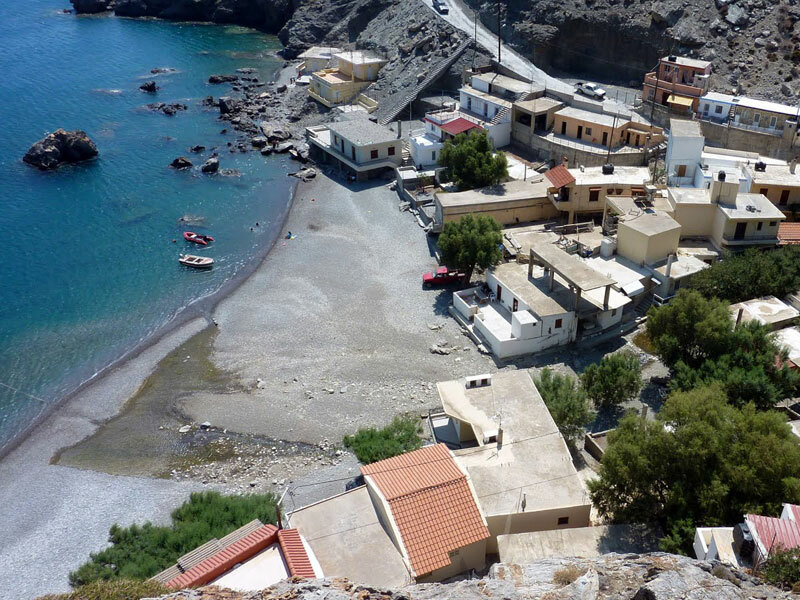 Kastri is located in the bay Keratokampos and joins the settlement Keratokampos. Keratokampos is located in southern Crete 12km from Tsoutsouros. 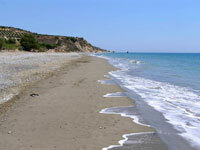 It is a summer destination, and has a large beach with pebbles and sand. 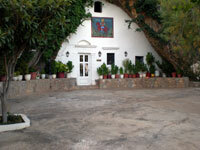 The village was founded after the '50s and is the haven of Ano Viannos. Until then, all that was in the area were some small buildings - warehouses, serving merchants to store their goods. 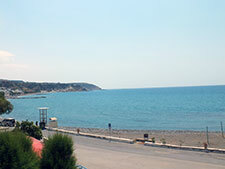 The length of the coast, is about 7 km. The beach is an attraction and there ends the gorge of Kavoussi. The main occupation of the inhabitants is the cultivation of vegetables in greenhouses, and tourism. 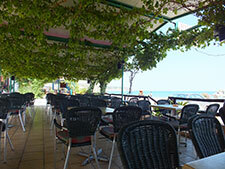 At Keratokampos will find taverns with fresh fish and Cretan delicacies. 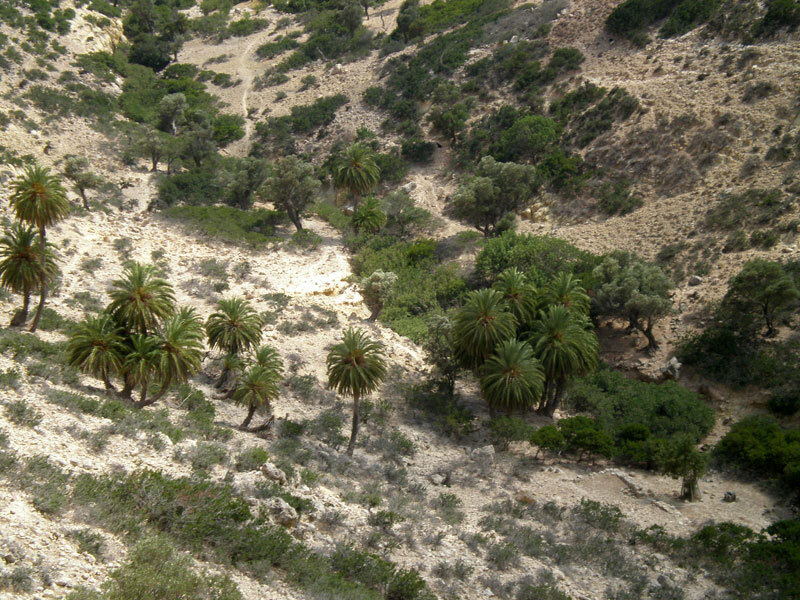 The palm trees forest is found next to the abbey of Saint Nikita and abstains 1 km from this, homonym palm trees forest with palms of Theofrastoy Phoenix Theophrasti in the creek on the sides of it possibly it is the 2nd bigger palm trees forest of Crete. According to tradition the palms sprouted there from the seeds of the locust beansthey stayed on the land that the pirates ate when. The beauty is exceptional if one thinks that this evergreen picture is combined with the beauty of the beach and the blue waters that are there. 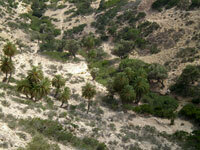 It constitutes a real oasis for the visitor that seeks the exotic beauty with the wild landscape to encompass him. A sacred abbey dedicated in Saint Nikitas that belongs in the municipal office of Achentrias of the municipality of Asteroysia. It is a coastal abbey and its distance from Heraklion is 73 km. 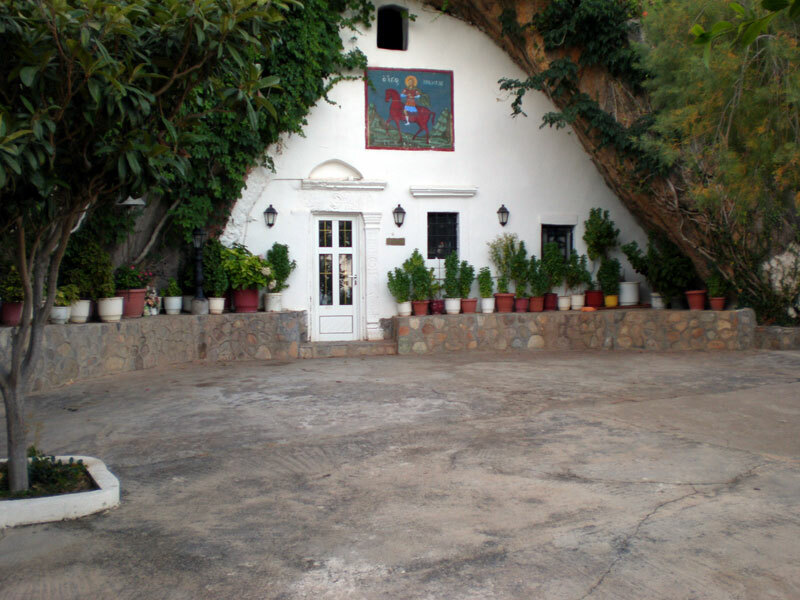 The church of Saint Nikitas of the abbey is built in cavernal rock. It is fully planted with olive trees and other fruiterer trees, while it contains a group with enough cells-rooms. From the abbey begins a small path that leads to the beach which constitutes an oasis as beside lies the palm tree forest. In the abbey there is no monk but a custodian. 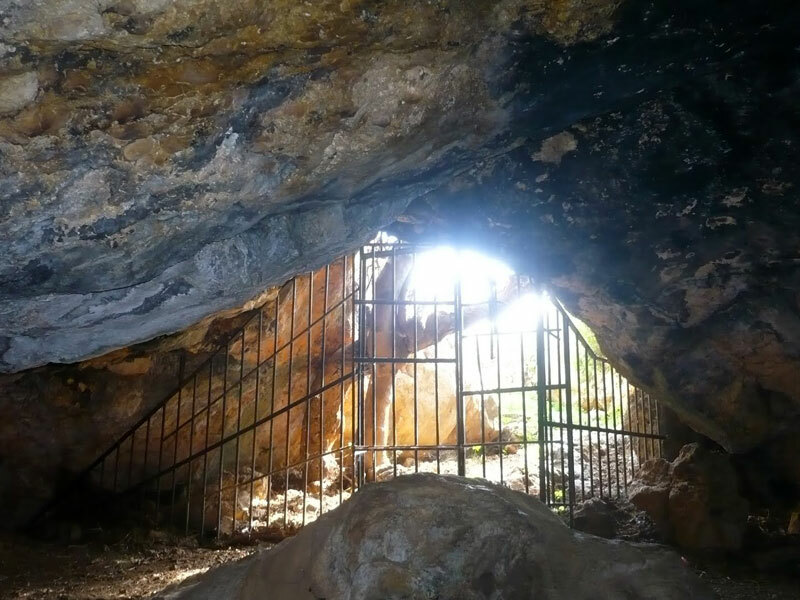 The cave "Speos of Eilithia" in Tsoutsouros is almost in the entrance of the current settlement, in the right side of the road and on the base of the rock. The cave "Speos of Eilithia" was devotionally used from approximately the middle of the 3rd millennium BC until 8th or 9th post-Christian century. The cave is considered that is devoted to the goddess of childbirth "Eilithia". The most important and impressive finds of this ancient cave are nowadays in the Archaeological Museum of Heraklion. In the whole region of Tsoutsouros (in the settlement but also in the wider area) one can detect remnants of ancient installations while the toponyms are indicative of archaeological locations (Larinaki, Sarakinos, Sarantapichi, etc). The gorge of Mintris River ends up to Tsoutsouras is approximately 6 km long and begins from Katselliana. 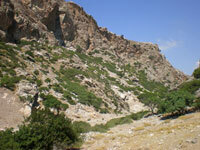 At the length of the gorge, we meet Roman Baths, the Roman Path and many Roman and Minoan finds. The visitor can from this point leave for a little the look to travel on the mountain tops, to enjoy the folds of ground, the crypts of rocks, the soft lines. Afterwards, if he descends he will feel the awe of the abrupt slope which leads to the river bed and to the trees of the Mintris gorge. The visitor can stop in approximately half of the street, in the great "perdikoneri" or "perdikonero", in the cool source which welcomes with its crystal waters and offers its dew to those who honour it.Inside the Mintris gorge have been found Roman Baths, the Roman Path and many Roman and Minoan finds which the visitor can admire if he walks inside the gorge. After Mesochorio and before the village Philippos to the south side we find the basin of the river Mintri which crossing a gorge further south comes out in the LibyanTsoutsoura. sea and specifically at the settlement of the basin of Mintri is a place of particular natural beauties that entertain a lot of species of local flora and fauna. Round Mintri are located the monastery dependencies, Kryoneriti, Foyntadon, Choyli and many chappels. The waters of Mintri flow near the settlement of Tsoutsouras where they lead to the sea.